This year we will be running all our usual breaks up on Lewis, as well as a few more adventurous trips away from Cuba, across Europe and, in time, even further afield! The aim of our trips (as always) is to combine great sport with amazing food, produced with some of the wonderful game and fish from our day’s sport. Making use of the natural larder around us, but in very classic and stylish menus. weather up here, making the hunting challenging. The numbers of geese, duck, woodcock and snipe mean the Isle of Lewis is a prime destination for the intrepid hunter. At The Shotgun Chef we offer a 3-day package of wildfowling, flighting and walked up both woodcock and snipe over pointers, including full board and lodgings. Your trip will include at least two evening duck/goose flights, 2 mornings on the coast and 2 days walking up over pointers. All this for the amazingly great value price of £500 per Gun (based on 4 Guns shooting). The price does not include alcohol or tips for the Gillie/Keeper. Dates available in 2015 and 2016. The Shotgun Chef has teamed up with the best charter operation in the Azores to take guests out to fish for spicies such as Giant Blue Marlin, White Marlin and epic Bluefin Tuna. The fleet of boats are all equipped with state-of-the-art equipment and experienced crew from around the world that have made their life in this big game fishing Mecca. 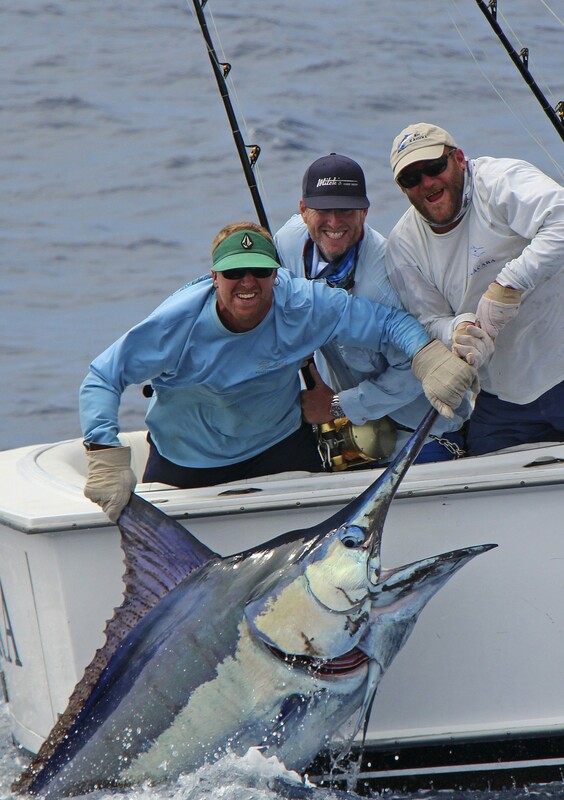 Their decades of experience will give you the best chance of getting you the fish of a life time. You will stay in a beautiful villa and have The Shotgun Chef there to prepare you delicious meals from the fish you catch, combined with fantastic local produce. The trip is for 7 days with 5 full days’ fishing. The maximum group size will be 4 Rods and will cost approximately £2,700 per person (dependant on Euro fluctuation). The Glorious Twelfth is the New Year’s Eve of the shooting world. For most, the dream of driven grouse heading towards you while hunkered down in the butts is a ‘must have’ experience. 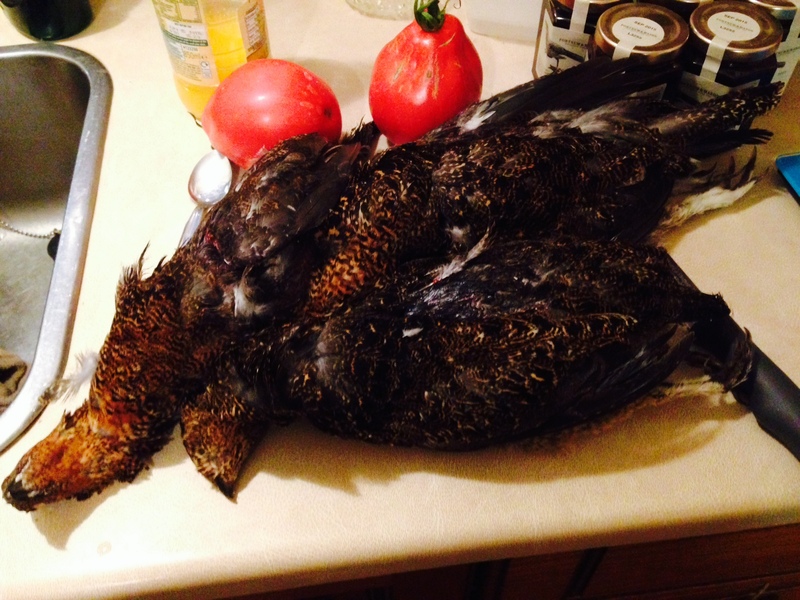 For us at The Shotgun Chef, however, a small group of friends walking up grouse with a couple of dogs is where this bird is at its best. Keeping your nerve while waiting for the bird to break cover, and quickly identifying which you want to take your shot at, all the while watched and encouraged by your friends at your side – now that’s true sportsmanship! We shoot more than 50,000 acres of moor, covering each beat once so that we keep the birds fresh and don’t put them under too much pressure. Only taking a few birds each season from an area ensures there will be enough for next year. You can join us on the Isle of Lewis for a 3-day walked up grouse shooting break, including full board and lodgings, for £699 per Gun based on 3 to 4 Guns sharing. This price includes everything apart form alcohol and Gillie/Keeper tips. There are dates still available for the 2015. Why not join us to follow in the footsteps of sporting adventurer Ernest Hemingway to Cuba, where the Grand Slam of Permit, Bonefish, Tarpon and Snook are often caught in the unspoilt water of the island. They have been part of a total fishing ban that was only recently relaxed, making this a rare and exciting place to cast a line. The fish here are not going to throw themselves out of the water – the Permit will still drive you mad, and the Bonefish will still seem impossible to hook at times. 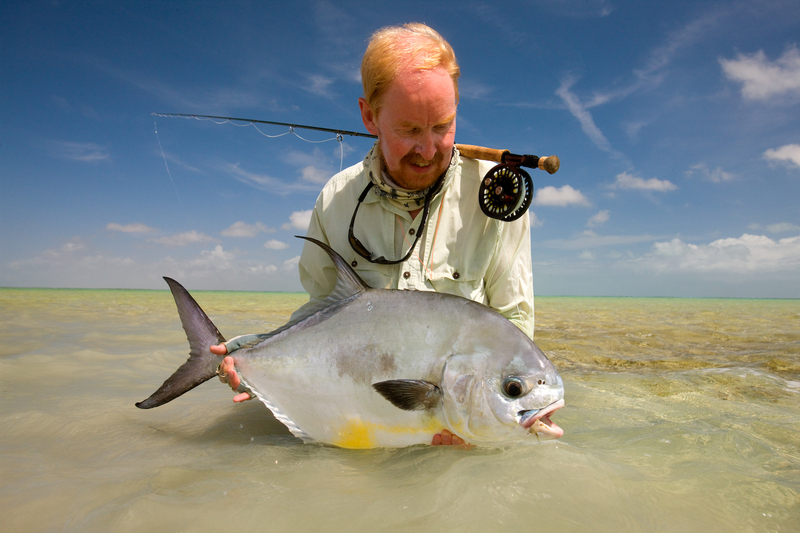 However, the challenge makes this a must-visit place for any intrepid saltwater fly fisherman. When your fishing day is done, you can relax with fine food, a delicious cool cocktail and a beautiful cigar to regale one another with tales of the ones that got away and compare photos of the ones that did not! We have teamed up with the best fishing guides in Cuba and The Shotgun Chef will be on site to make sure everything goes without a hitch and that your food is absolute perfection. Prices start from £2,900 per Rod including full board an accommodation with a minimum party size of 6. Join us for some salmon fishing on the Isle of Lewis. This part of the world is not for the armchair fisherman, but the catch rewards the determined. 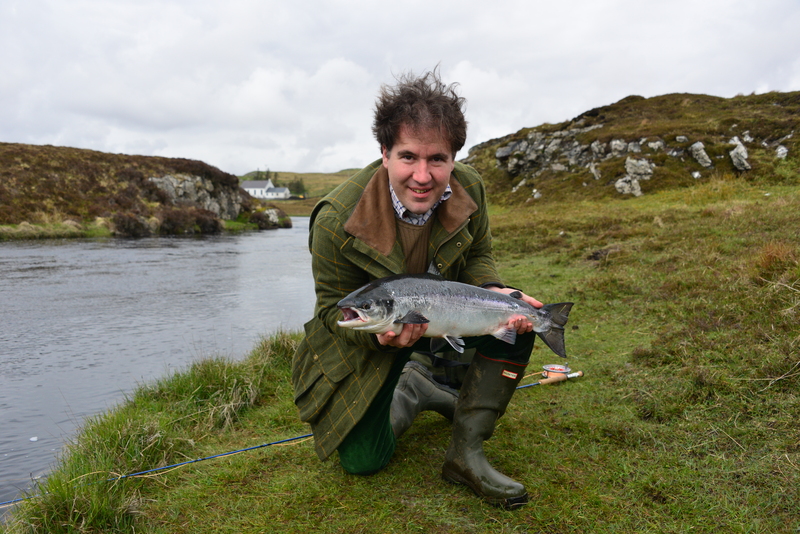 The house’s short spate river is easily fished in a day and the loch at its head is topped up with more fish on every downpour (and in the Hebrides that can be most days!). 2015 looks to one of the best seasons for some years – many rivers on Lewis and Harris have already beaten their 5 year averages month on month. Salmon, sea trout and feisty brown trout will test your patience. We still have dates in August, September and October in 2015 available. A 3-day fishing break costs £400 per Rod, with a maximum party size of 3 Rods, and includes full board and lodgings. Standing patiently waiting in a mist-filled forest, the sound of the beaters in the distance, the adrenaline rushes as the boar charges through the woods… you see it for a second, rushing between the trees. You keep calm as it comes into the open at full speed, you raise your rifle – your shot is good – and you reload, just in case there’s another. This surely is one of the most exhilarating hunting experiences you can have. 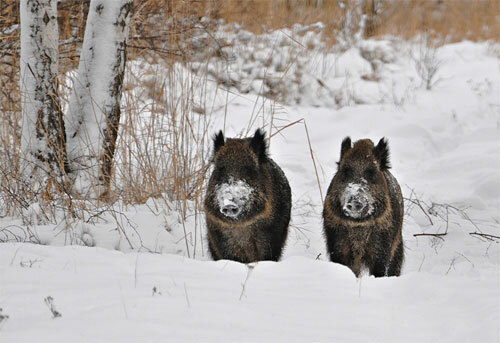 We will be hosting a minimum of 2 trips per year to Europe to hunt boar. Prices will start from £1,000 per Gun, including full board and accommodation.